Buy the Intex IT-PB12.5K 12500 mAh Power Bank in the white color variant. Intex brings you a power bank with a high capacity of 12500mAh at affordable prices. The power bank has Led Indicators and charges fast, with the input required of 5V. It has a huge capacity of 12500 mAh and supports AC adaptor charging through USB. 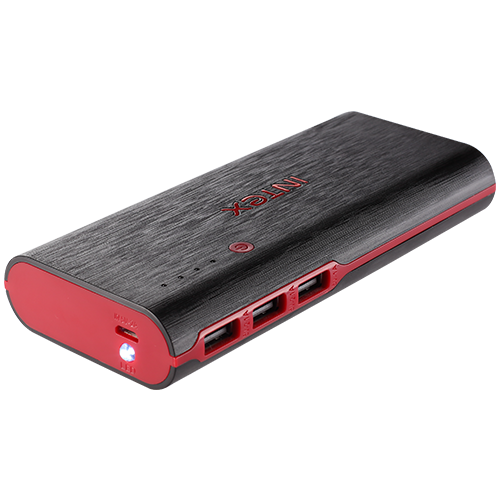 Understanding the requirements of fast pace life, the power bank is equipped with 3 USB ports. The power bank is not heavy to carry and weighs only 290g. Buy the Intex IT-PB12.5K 12500 mAh Power Bank in the white color variant. 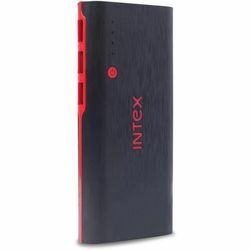 Intex brings you a power bank with a high capacity of 12500mAh at affordable prices. FeaturesThe power bank has Led Indicators and charges fast, with the input required of 5V. It has a huge capacity of 12500 mAh and supports AC adaptor charging through USB.Ports & Weight Understanding the requirements of fast pace life, the power bank is equipped with 3 USB ports. The power bank is not heavy to carry and weighs only 290g.